Globalization needs roads and the Belt and Road Initiative will pave them, said Zhang Yansheng, a senior research fellow at the National Development and Reform Commission (NDRC) Academic Committee, about the relationship between the China-proposed initiative and globalization. 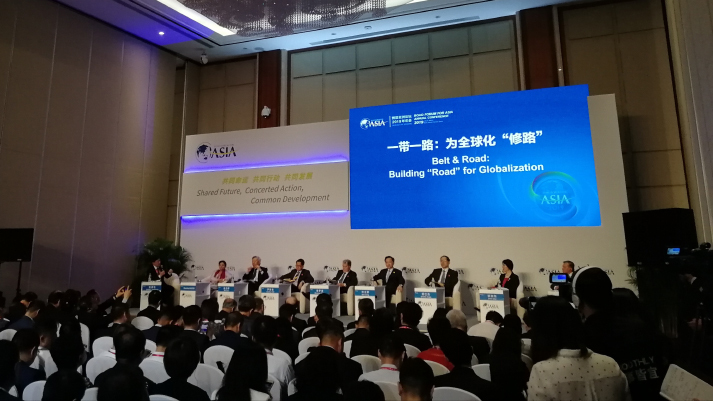 Globalization is underpinned by hard infrastructure such as transport, energy and digital facilities as well as soft infrastructure such as cross-border movement of people and capital, and policy and standard coordination, Zhang said at the Boao Forum for Asia (BFA) Annual Conference 2019, which concluded on March 29. 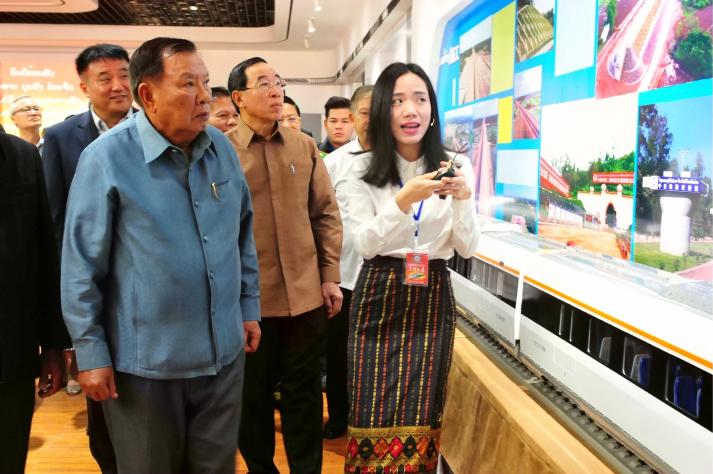 In the seven decades since World War II, both hard and soft infrastructure has been aging and crumbling, inhibiting the sustainable growth of the world economy and other aspects of development, and therefore it should be upgraded, he said. "Everyone recognizes that the world is retreating from globalization. In this context, the Belt and Road Initiative is very timely," said Shamshad Akhtar, a member of the advisory committee for the Belt and Road Forum for International Cooperation, former Under Secretary General of the United Nations and former Vice President of the World Bank. There has been a large global demand for infrastructure, both in developed and developing countries, she said, so it's important for the initiative to be focused on promoting economic globalization backed by multilateral policy frameworks. The Belt and Road Initiative is not a geopolitical concept, but a platform for promoting globalization, said Zou Jiayi, Vice Minister of Finance, adding that any project in any country that promotes globalization is in line with the Silk Road spirit. She said that countries in various development stages are all welcome to participate in Belt and Road projects so as to enhance policy, infrastructure, trade, finance and people-to-people connectivity. "The ancient silk routes embody the spirit of peace and cooperation, openness and inclusiveness, mutual learning and mutual benefit. The Silk Road spirit has become a great human civilization heritage," President Xi Jinping said at the First Belt and Road Forum for International Cooperation held in Beijing in May 2017. Since he proposed the building of the Silk Road Economic Belt and the 21st-Century Maritime Silk Road in 2013, China has signed 173 cooperation documents with 125 countries and 29 international organizations on jointly building the Belt and Road, according to the latest official statistics. Italy is one of the most recent countries to join the initiative. It signed a memorandum of understanding on cooperation under the Belt and Road Initiative on March 23, becoming the first Group of Seven country to sign on. One of the characteristics of the Italian economy is that it has a large number of small and micro enterprises, and the Italian Government therefore needs to coordinate trade relations with China, said Michele Geraci, Undersecretary of State of the Ministry of Economic Development of Italy. He said that European countries would like to participate in the Belt and Road Initiative to seize opportunities and expects more European Union (EU) member countries to sign similar agreements with China. Romano Prodi, former Prime Minister of Italy and former President of the European Commission, stressed the importance of carrying out common projects between the EU and China. Jin Liqun, President of the Asian Infrastructure Investment Bank, stressed that Belt and Road projects refer to not only Chinese projects but also other countries' projects that promote regional and global economic integration, peace and development. The Belt and Road Initiative has become the most popular public good and the largest cooperation platform in the world, said Chinese Foreign Minister Wang Yi at the annual symposium on the international situation and China's diplomacy in 2018, held in Beijing on December 11. Why is the Belt and Road Initiative so popular and why has it won so much support? It is because it follows the principle of consultation and cooperation for shared benefits, Wang said, and because the initiative is open, transparent and inclusive. It is also due to the fact that the initiative pursues green, environmentally friendly and sustainable development, and has been carried out according to rules, international law and the laws of all countries concerned. "Facts have shown that the Belt and Road Initiative has brought tangible benefits to the people of all participating countries and made important contributions to global cooperation and common development," Wang said. By the end of last year, China's total trade with Belt and Road partner countries exceeded $6 trillion and its investment in these countries exceeded $80 billion, creating approximately 240,000 local jobs there, according to Wang. "Notable progress has been made on a large number of priority projects covering connectivity building and industrial park cooperation, including the China-Pakistan Economic Corridor, the China-Myanmar Economic Corridor, the China-Laos Railway, the China-Europe Railway Express, and the Piraeus and Hambantota ports. Third-party cooperation under the Belt and Road framework is also well underway in Europe, Asia and Africa," Wang said. Of the 269 outcomes of the First Belt and Road Forum for International Cooperation, 96.4 percent has been implemented and 10 are being advanced, said Meng Wei, an NDRC spokesperson, on January 22. At this year's BFA Annual Conference, Viktor Zubkov, BFA Director and former Russian Prime Minister, said that China and the Eurasian Economic Union (EAEU) signed an agreement on trade and economic cooperation on May 17, 2018, during the Astana Economic Forum, agreeing to implement a number of major transport and energy cooperation projects. Zubkov said that leaders of Russia and China reached consensus in 2015 that linking the EAEU and the Belt and Road Initiative would be an effective tool for promoting sustainable economic development in the interest of both countries. He added that Russian President Vladimir Putin will attend the Second Belt and Road Forum for International Cooperation in Beijing in late April, further promoting regional economic integration. Xu Lirong, Chairman of the Board of China COSCO Shipping Corp. Ltd., said that the group has invested in ports and shipping routes in Peru, which has effectively spurred the country's economic development. "In January, we signed an agreement with Peru to invest $1.3 billion to build six to eight large deep-water container and multi-purpose terminals. This project will lead to the rapid growth of railways, roads and other infrastructure around the port in the future," he said. This is the group's first cooperation project in South America, which adds to the group's investment in 18 other ports and wharves in Belt and Road countries. At the current stage, the Belt and Road Initiative has mainly been promoting infrastructure construction, Zhang said, with roughly 20 percent of investment going into electricity projects, 19 percent into railways and the remaining amount mainly going into highways, pipelines and projects in other areas. In the first stage of the initiative, some achievements have been made, especially in terms of the development of hard infrastructure, said Stanley Loh, Ambassador of Singapore to China. He suggested stepping up soft infrastructure construction, such as optimizing financial risk control, establishing dispute settlement legal frameworks and innovating cooperation models. Last year, China set up two international commercial courts in Xi'an City of Shaanxi Province and Shenzhen City of Guangdong Province to adjudicate disputes arising from projects under the Belt and Road Initiative. Though there is a huge demand for infrastructure in Asia and the world at large, there is not enough money to build it all. A report by the Asian Development Bank titled Meeting Asia's Infrastructure Needs found that Asia would need to invest $1.7 trillion per year in infrastructure between 2017 and 2030 to maintain its growth momentum, tackle poverty and respond to climate change. Zheng Zhijie, Vice Chairman and President of China Development Bank (CDB), said at this year's BFA Annual Conference that the world demand for infrastructure will reach $94 trillion by 2030, but there would not be effective funding available for one fifth of the total. Zheng attributed this underfunding to three main reasons. First, some Belt and Road countries lack adequate fiscal and financing ability; second, infrastructure projects are usually costly, with low return on short-term investment and a long wait to recoup investment; and third, projects face many uncertainties in terms of land acquisition, ecological protection and community relations. From 2013 to 2018, the CDB provided more than $190 billion for over 600 Belt and Road projects, Zheng said. "Finance is very critical," Akhtar said. "It's important to understand that no single source of financing can actually address the financing requirements." She suggested diversifying funding sources and "making sure everyone participates in it." Zou proposed improving project risk management and encouraging private investment and innovative financing means like equity investment and public-private partnership.